Below is the Transportation, Technology, and Infrastructure (TTI) Council Committee agenda – scheduled for Thursday, June 19, 2014 at 9:30 a.m., City Hall Council Chambers (901 Bagby St., 2nd Floor). Mark Loethen, Deputy Director, Planning & Development Services Division, Public Works & Engineering Dept. Carol Haddock, Senior Assistant Director, Planning & Development Services Division, Public Works & Engineering Dept. Hiram Clarke HPD Storefront Community Crime Prevention Meeting 7:00 P.M. The speaker will be an officer from the Bomb Squad. 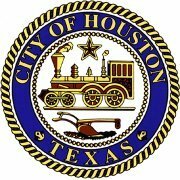 South Houston Con-cerned Citizens’ Coalition Meeting 7:00 P.M. at the Hiram Clarke Multi-Service Center, 3810 W. Fuqua. The speaker will be a representative from Parking Management. Hobby Elementary Spring Festival May 16, 3:30 P.M.-7:00 P.M. Yes Prep-Southwest--The Dream Walk Scholarship fundraiser, 5:00 P.M. –8:30 P.M., at the campus at 4411 Anderson Road. Register at TheDreamWalk.net.